New Year's Eve is one of the most anticipated moments of the year, and every woman wants to celebrate the night with champagne, nibbles and a fabulous get up. When it comes to hair, we know what's hot. To make your New Year's Eve prep that little bit easier, Price Attack have provided you with their top four fabulous hairdos you can create at home with their newest range EVY PROFESSIONAL before the final moments of 2017. 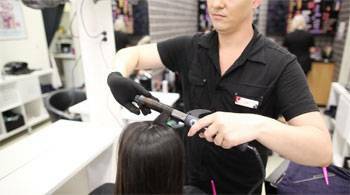 EVY PROFESSIONAL is a range of professional hair styling tools featuring a unique patented 33 mineral blend technology from Japan designed for easy, faster hydrating results. Here's our top tips of how to do it at home without damaging your hair! 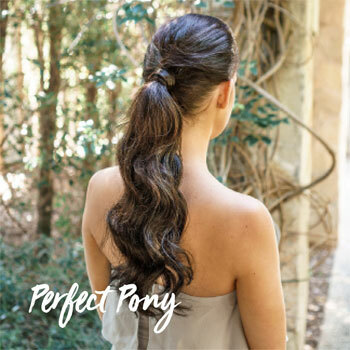 Creating the perfect pony is easy when you have the right tools and will look effortlessly flawless on a night out. To produce this adored look at home, simply use an EVY iQ-OneGlide 1" Hair Straightener to wave your hair away from the face. Once it's all waved in the same direction, excluding your fringe or loose hairs to frame the face, pull it all back into a neatly styled pony. The EVY straightener can then be used again to fix up any hairs out of place, or if you would like to curl or straighten the pony. It's an amazing hairdo that will suit almost any dress you pair it with! The EVY SCHIMA Round Brush (25mm) is the must-have utensil when creating this chic look. You can easily do this look at home by using the brush to neatly pull all of your hair back. Whether you want it to be a high or low bun, simply use the EVY Round Brush to swish your hair in the right direction and pin tight into place. 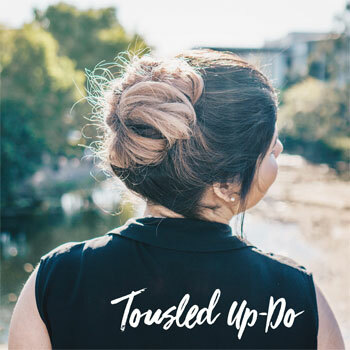 Once it's secure, use your hands to pull out strands of hair and ruffle the bun to create the perfectly 'tousled" look. Looking for a hairstyle that exudes confidence and glamour? Look no further, the Luscious Side Sweep is the best option for you! 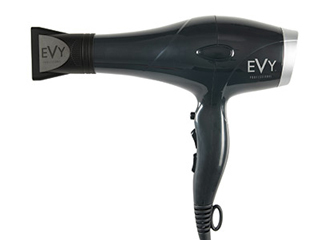 The EVY theBOSS Dryer makes this style super easy and guarantees an amazing look. After washing your hair, form a part down your hair and blow dry in the one direction. This ensures that it dries the one way, making it easy for you to pull it around the base of your neck and pin. Once it's in the perfect spot, blow dry the remainder of your hair and style accordingly. We recommend loads of hairspray and bobby pins to ensure it stays all night long. This stress-free, yet dazzling style will make all the men drool and all the ladies jealous! The wavy look is the best way to appear like you've done a great deal with your hair, when really you haven't done much at all! Just use the EVY E-CURL (25mm) to create either heavy, loose locks or tight, ringlet curls - whichever tickles your fancy! Part your hair in whichever direction suits you and simply use the EVY PRO Styler to curl and design your locks in any way you'd like. To ensure the curls stay rooted in place, we recommend using hairspray and product. It's important to guarantee the upkeep of your hair when dancing all night long! The hydrating hair technology in the EVY products is second to none – using post-volcanic minerals from a remote region in Japan. These highly beneficial ionic generating minerals have been infused into the hair tools to help strengthen the hair as you style, imparting negative ion and infrared energy to break down water molecules and penetrate deeper into the hair follicles for extra hydration and less damage. 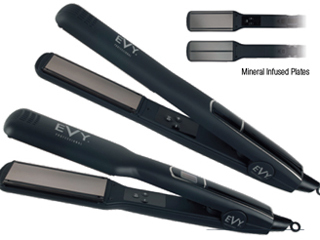 Every EVY Professional product uses the unique Mineral Infused Technology for the ultimate styling experience.